Hey everybody! Happy Thursday! I'm so pumped and excited to share this look with you! I've been keeping this project to myself for weeks, only showing a couple sneak peeks on social but today is the day!! 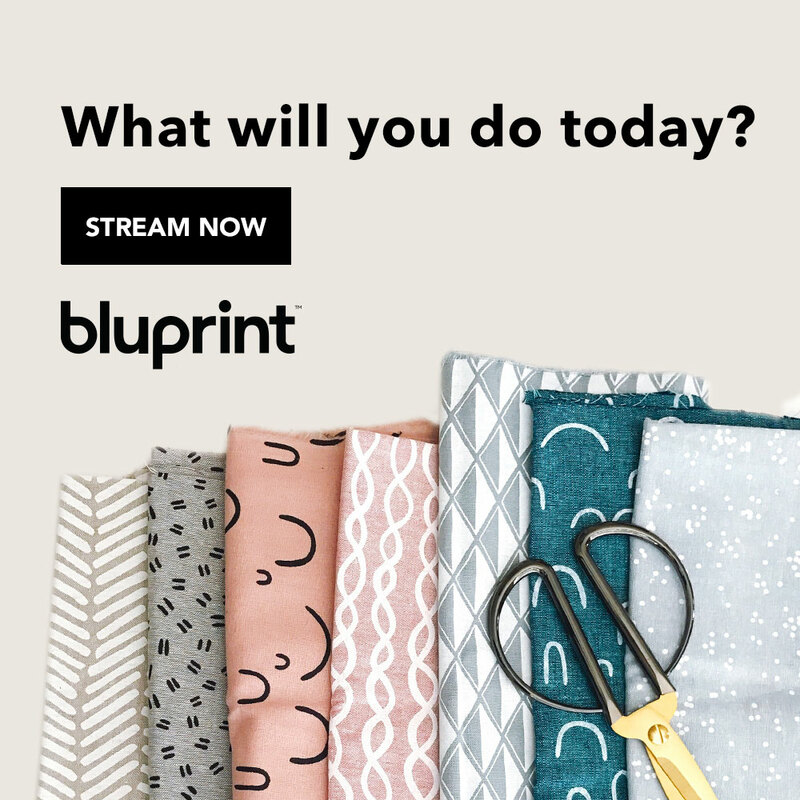 I can't tell you all how excited I was when Mathew Boudreaux of Mister Domestic asked me to join in on his Blog Party for his Loved to Pieces Fabric Collection with Art Gallery Fabrics! I first saw Mathew on his awesome Youtube channel a couple months ago, and I've been a fan girl since! He is so amazingly talented, full of personality and I'm honored to be amongst the awesome makers in this party! 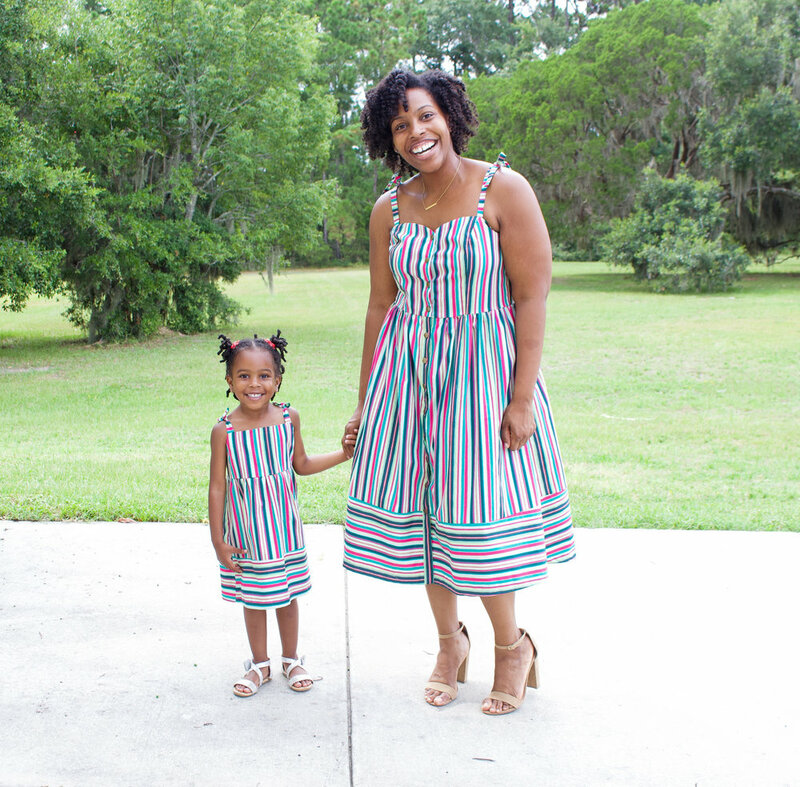 For our mommy and me dresses, I went with the The Striped Flow Rainbow cotton fabric from the collection. This fabric makes me so happy and it makes me think of candy; which is why I call these our "Candy Girl" dresses!! LOL! This fabric feels great, sews up nicely, and it also comes in another color way! For my dress, I made the Jessica PDF. I love this dress! I think its the perfect summer dress pattern! 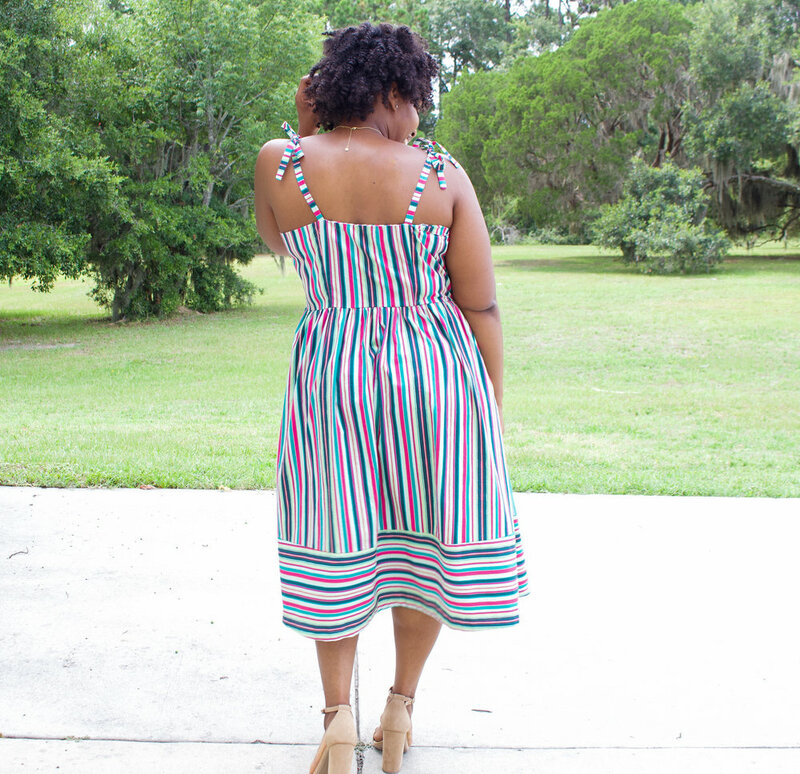 I wanted to add a little more to my dress, and also get the most out my stripe fabric, so I cut a couple pieces on the cross grain. I cut 10 inches off the skirt of the pattern and cut that portion on the cross grain. I also cut four of the straps instead of two because I'm currently going through a tie-strap phase and I thought having them tie would be perfect! I cut the straps on the cross grain as well! For size, I cut the XL for this pattern and made no adjustments to it! The pattern has two pockets on the front, but I omitted those. Instead of using buttons, I went with snaps. 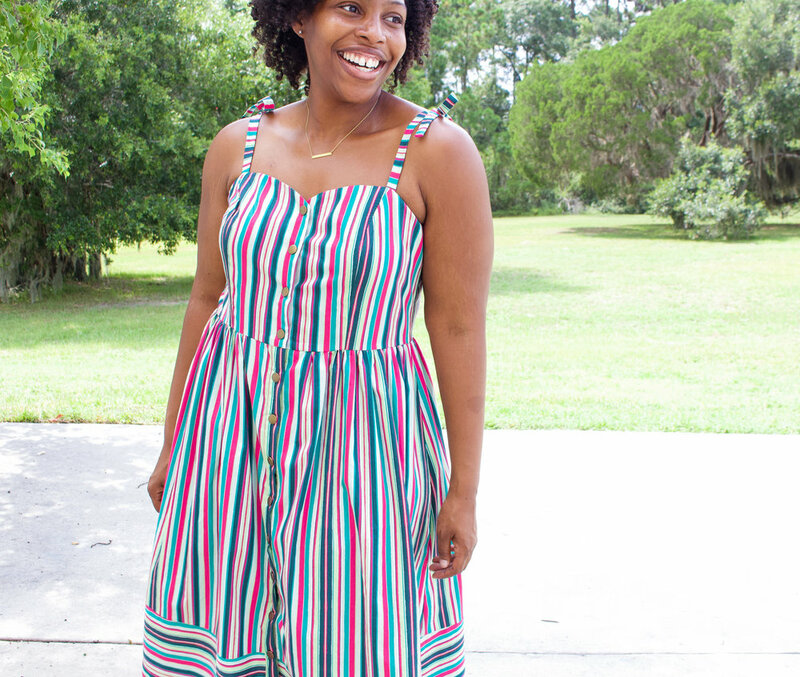 Not only did I want to have fun with the stripes, I also wanted to use every inch of the fabric, so of course I had to make Justice a matching dress! 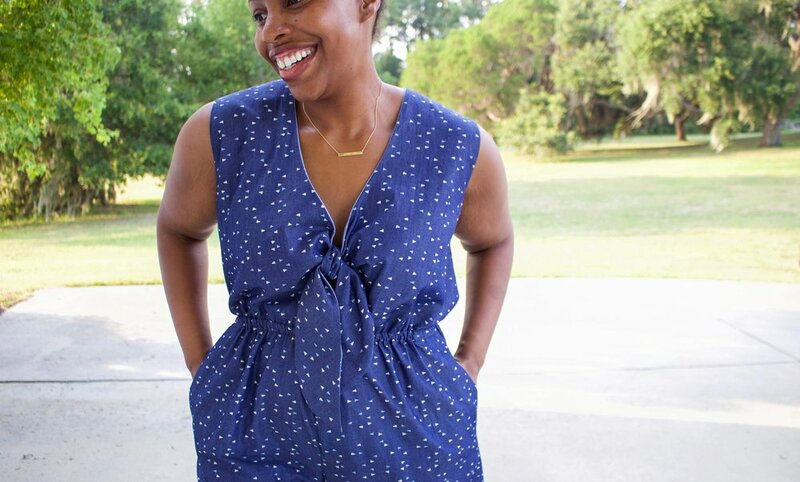 For Justice dress, I use Simplicity 8621. I made the same changes to her dress by cutting some of the skirt on the crossgrain and cutting four straps instead of two. 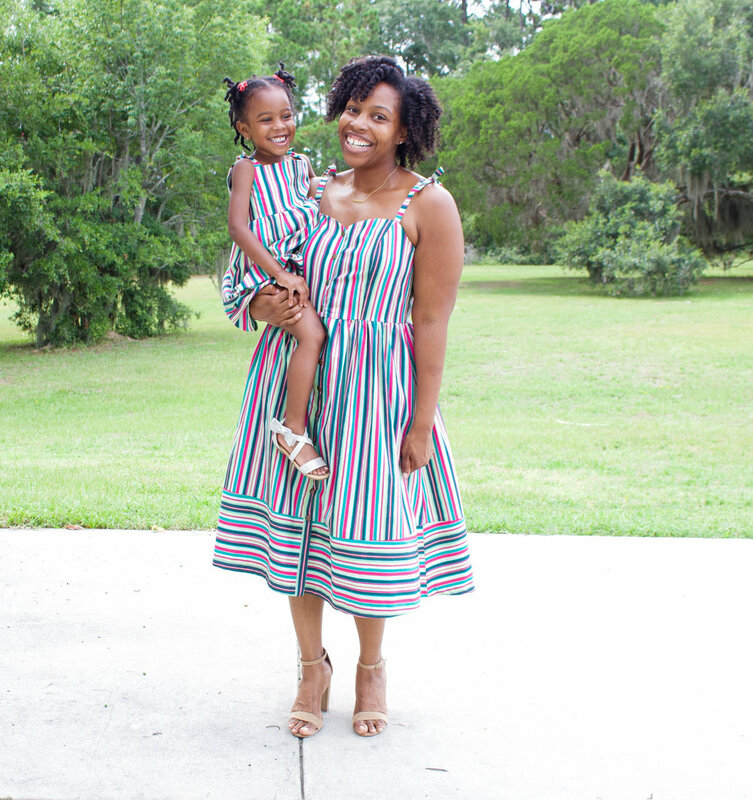 I had so much fun making these dresses and now Justice and I can add one more mommy and me look to our closets! 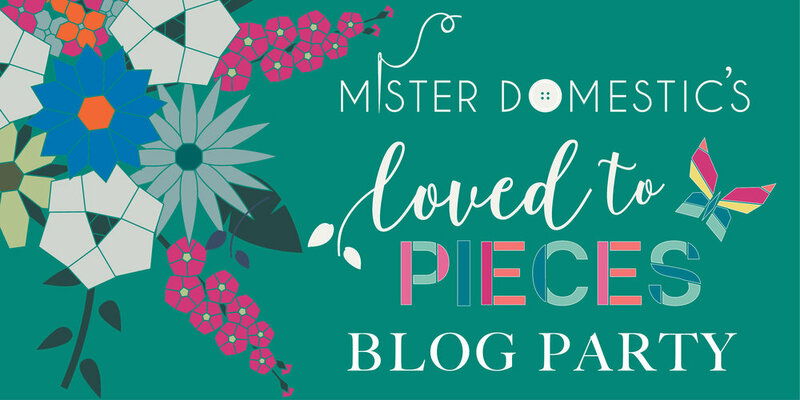 Below is the list of all the awesome makers that are up next in the Loved To Pieces Blog Party! Be sure to follow them to see the amazing things they've created! Also follow Mister Domestic on Instagram because each week of the party (4 weeks) there's a giveaway!